The Norwood section of the Bronx is not one that readily comes to mind for an outing in the city. But if you hop the 4 train to the Mosholu Parkway station, the second to last stop on the line, you’ll discover a world filled with all the authenticity that is the Bronx of today and yesterday. Right now you’re thinking, start my touristic day at a hospital? Yes, you should. Montefiore Hospital is an integral part of the community and has created a setting and programs that invite the locals to share their love of the area. 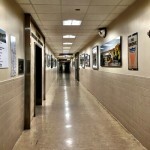 The Montefiore ArtViews gallery at the hospital’s Moses campus in the Bronx is part of the hospital’s curated Fine Art Program and Collection, designed to show off, by theme, all that the Bronx offers. Consisting of a rotating exhibition space inside the hospital, lined with art, photographs and other hand-crafted pieces, the gallery showcases art by local residents and is designed not only for patients and family members, but for all visitors to enjoy. 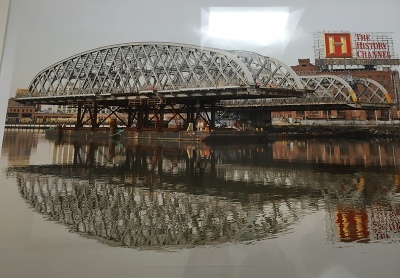 The current “Connecting People, Strengthening Communities: The Harlem River Bridges” exhibit by urban chronicler Duane Bailey-Castro is a line-up of 26 photographic masterpieces of the little-known bridges covering the Bronx. Some of the bridges, like the iconic High Bridge dating to 1848 which re-opened to pedestrians and bicyclists in 2015, are shown in daytime and evening settings. Think Monet’s treatment of light over the course of the day with his lily pads or his haystacks. The quality of the photography is crisp and breathtaking and captures a slice of this up-and-coming borough. The use of bridges is symbolic as well as thematic. 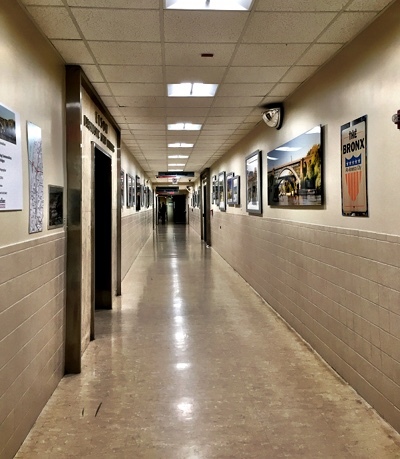 In their placement along the corridor to the oncology department, one can’t help but think of the bridges that the hospital encourages, from sickness to health. In this case, the photographer’s personal journey from illness to wellness is reflected in his choice of subject matter. The exhibit closes on April 4 but will be followed by “A Healthy Dose of Rock”, featuring current pediatric oncology patients at Montefiore who have been transformed by makeup and costumes into rock stars. 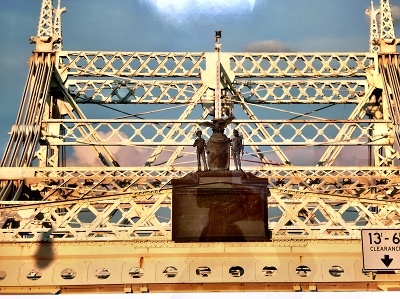 In June, Bronx photojournalist Marisol Diaz will exhibit from her current portfolio. 111 East 201st Street, Bronx. Open 8am-5pm, daily. For more information and scheduling details, visit http://www.montefiore.org/artprogram. To enhance the experience, there are dining choices within the hospital, a health-oriented café with sushi, soups, sandwiches and the like to be enjoyed indoors or outdoors in the hospital’s garden area, which is also often decorated as an art gallery, with pieces connected to nature. The nearby Norwood area shows off its Dominican flair with Latino restaurants tempting with the likes of mofongo, Cuban sandwiches, mamey shakes, and other South of the Border temptations. 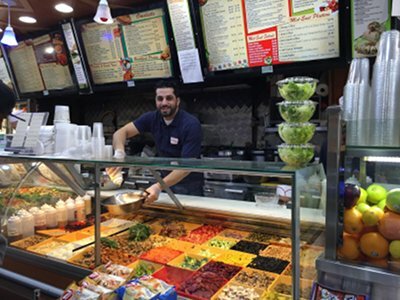 Try El Presidente II at 4-10 East 208th Street, or for a Middle Eastern twist, Tasty Picks, 89 East Gun Hill Road. 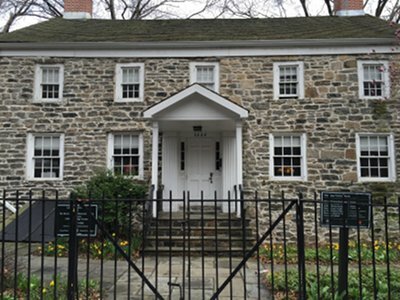 Just down the street, one of the few remaining stone farmhouses that lined the Boston Post Road, the Valentine-Varian House house, built in 1758, currently serves as the Library for the Bronx County Historical Society and is open for visitors on Saturday and Sunday. A standalone home, in a flower-filled park setting, the house is magnificent in its simplicity and construction. Behind and through a tunnel, a surprising park offers a sanctuary in the middle of urbanity. The Williamsbridge Oval recalls the simpler pleasures of outdoor sports and playgrounds, with a walking oval fitting perfectly into today’s fitness craze. This entry was posted on Tuesday, March 29th, 2016 at 9:49 am	and is filed under Stuff to Do. You can follow any responses to this entry through the RSS 2.0 feed. You can leave a response, or trackback from your own site.